I've also been really lucky lately, I won a recent Allsorts challenge, Nutcrafters challenge, Partytime Tuesdays and some candy from Natalie & Amy. Can't believe it. 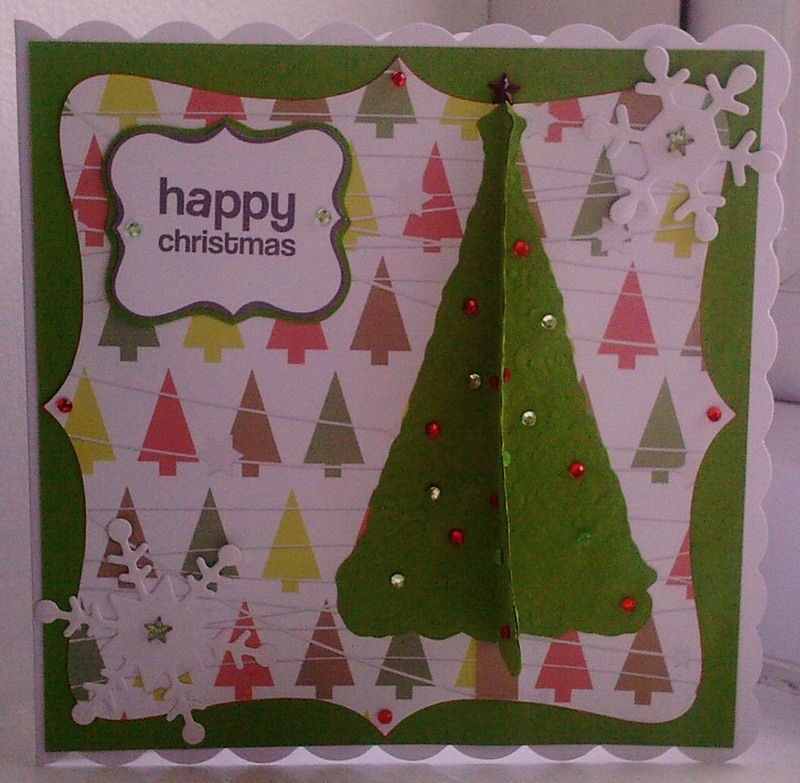 I used the papers above, go kreate die, digi sentiment from a previous Funky Hand download, snowflake die, tree embossing folder and gems. 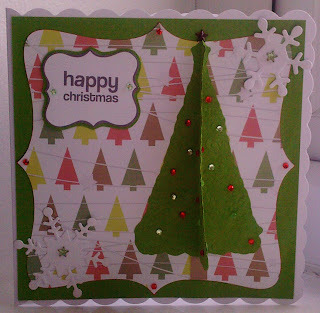 shelly's images blog - terrifically thrilling Thursday-shaped card. What a super little card! Great song choice too! 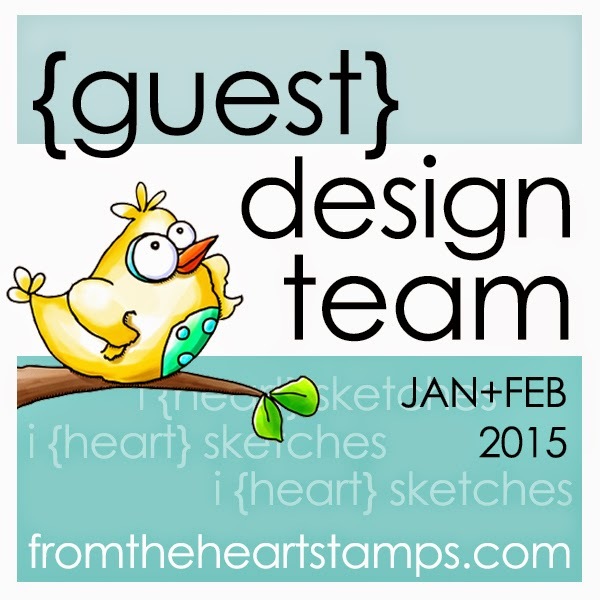 Thanks so much for sharing it with us at The Crafty Pad in our Inspired By A Song Challenge this week! PS Don’t forget there's still time to enter the BCA Think Pink Challenges at The Crafty Pad and Dawn's Crafting too! Oh no I hope you get your voice back real soon! 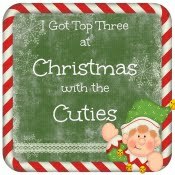 Your card is fab love those papers, off to have a looksie! Feel better soon! Your creation is adorable! Won't be long before we are trimming those trees!! Thanks so much for joining our "SHOW US YOUR SHAPE" challenge at Shelly's Images! Please come back and join us again real soon! !